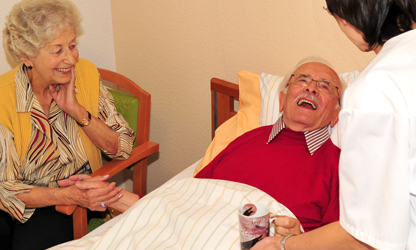 Retirement and nursing facilities set against the context of providing needy and elderly or sick people a comfortable home, a place of security, care and maintenance. It all institutions face a fundamental challenge: the economic compulsion to make the care rationally and economically. Therefore, companies need the health care partners who know and understand this tension that provide solutions and take all aspects into account! Haber Textile Services is such a partner. For more than 70 years, we develop textile supply schemes in the health and care sector. Unconditional service attitude and high quality standards. We work in accordance of the rules EN ISO 9001:2008.